Given that photography is more accessible to the masses, photo editing apps for smartphones are becoming powerful accessories for both amateur and professional photographers alike. The market is saturated with editing apps, making it tricky to choose one over the other—our smartphones only have so much memory! Don’t know which one to install? 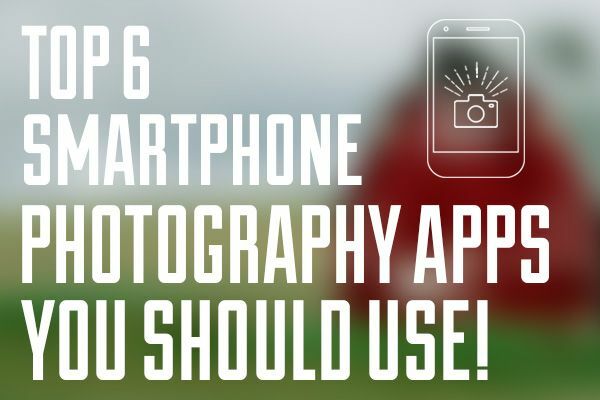 Read our list of top recommended smartphone photography apps to see which one’s right for you! Adobe Photoshop Lightroom is one of the more sophisticated smartphone photography apps available on app stores, which is why it’s one of our top recommendations. Although it’s more intuitive for Photoshop users, it just requires a bit of practice to reach pro status. Lightroom features one-click presets, but also comes equipped with advanced adjustment tools similar to the tone curve functions on Photoshop. It also allows you to refine individual colors with the Color/Black & White tool. The app seamlessly connects mobile devices, desktops, and the web through the Adobe Creative Cloud, thereby ensuring your work is easily accessible through all channels. The best part about using this app is its high level of control which allows you to really fine tune photos… all with the tips of your fingers! AfterLight is one of the best smartphone photography apps available. It comes with an arsenal of filters, textures, and frames for quick editing. It’s very user-friendly, and easily allows you to share pictures through different channels. One of its coolest features is its resizing tool. You can customize the size of your photo, and combine it with different borders to create something original! VSCO is among the most widely used photo editing apps for smartphones. The app is very easy to use, and comes equipped with a range of stunning presets which are customizable with additional adjustment tools. Its built in camera features split focus and exposure on certain devices, which elevates the experience of taking pictures with cell phones. Once you’re satisfied with the finished products, you can share your pictures to various outlets. The app also integrates with VSCO Grid, an online collection of pictures submitted by VSCO users. Mextures is yet another great app to install for editing pictures. It features over 150 textures which you can customize using the 12 blending modes per texture. It also comes with standard editing tools which you can also use to edit each preset. Unlike most photo editing apps for smartphones, Mextures has layering capabilities. In other words, if you don’t like something, you can easily delete the layer without it affecting your other edits—a great feature for the fearless experimenter! This app makes taking pictures with cell phones a breeze. Its built in camera function allows you to control the exposure, while its grid feature ensures you’re not taking crooked shots. It main purpose, however, is for editing and refining photos. It’s similar to most apps as it comes with presets, and adjustment tools. However, like Mextures, Camera+ also offers layering, which easily allows you to make changes to your pictures. One of its biggest plus points is the ‘Clarity’ feature. By way of ‘Smart Processing’, this tool allows you to instantly transform your photos to look their best, fuss free! Taking pictures with cell phones is exciting with an app like Fotor. This app is one of the best well-rounded smartphone photography apps available on app stores. It features an in-app camera which comes with standard functions, and also comes with an auto-fix tool which lets you easily enhance photos. Like most apps, Fotor comes with a range of photo effects, filters, and adjustment tools. However, it comes equipped with an advanced feature as well— the curve tool. This tool truly gives you added control over your image. The app also comes with some really fun tools such as stickers, text, and frames, allowing you to create some truly unique images. You can also play around with different lighting under the ‘Scenes’ option, which is one of several cool features available on this app! There are many other great photo editing apps for smartphones available, but we’d highly recommend taking these for a spin first. With all the excellent smartphone photography apps available, amateur photographers can also capture stunning images too. If you’d like to learn more about snapping great pictures, read on for a few essential photo composition tips for beginners. 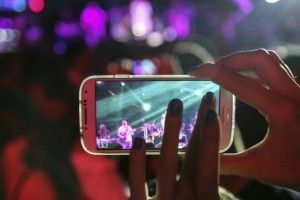 And if you’re still new at photographing events, take a look at these event photography tips by TapSnap’s Phototainment Specialist!